Tarantula is a TBS show, but it isn’t available via the usual cable and streaming services. Find out how to watch Tarantula online exclusive. Tarantula is not currently being shown on TBS, but it is available to watch on demand. TBS is one of the first networks to take full advantage of its online audience with recent standout show Tarantula. The animated series is currently available to stream online and features the misadventures of unlicensed tattoo artist Echo and his gang of friends. PlayStation Vue gets our pick for watching Tarantula because it’s easy to use, features smooth streaming, and actually carries the first season on demand (a tragically rare find, fyi). Tarantula isn’t as widely available as other TBS shows, largely (we think) because it’s really a web series at heart. PlayStation Vue is one of the few streaming services that actually let you watch the first season of the show on demand. PlayStation Vue users also tend to experience fewer streaming issues.  And unlike the other services that offer Tarantula, PlayStation Vue has a readable channel guide and usable interface, so that’s a big plus in our book.